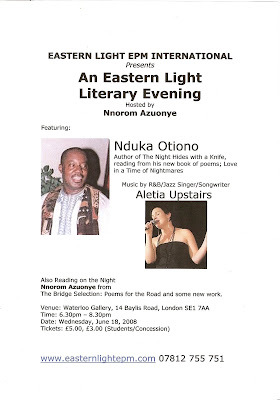 You are invited to an Eastern Light Literary Evening hosted by Nnorom Azuonye featuring Nigerian poet Nduka Otiono reading from his new book, "Love in a Time of Nightmares". 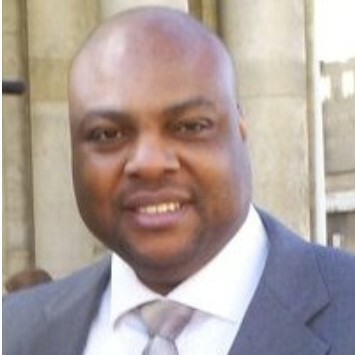 Music on the night will be from Jazz singer/songwriter Aletia Upstairs and Nnorom Azuonye shall also read on the night. Nearest stations: Waterloo, Waterloo East, Southwark.